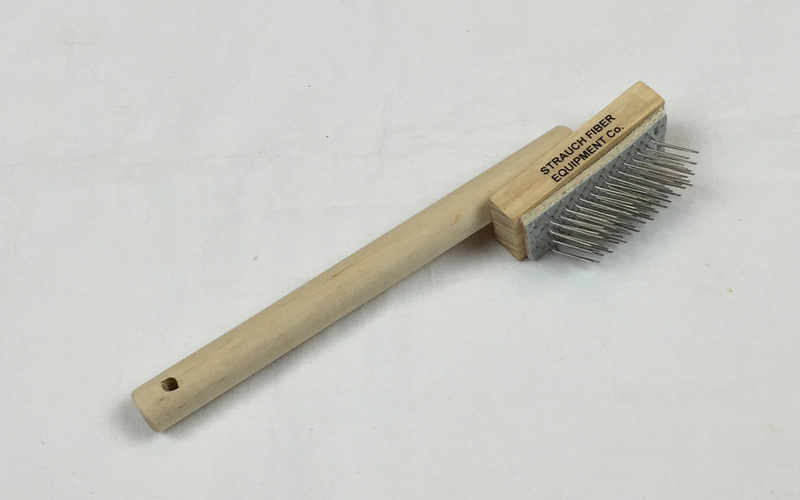 This tool saves your knuckles from painful contact with the teeth of your drum carder while you are removing the batt from the large drum. It will not bend as does a knitting needle. 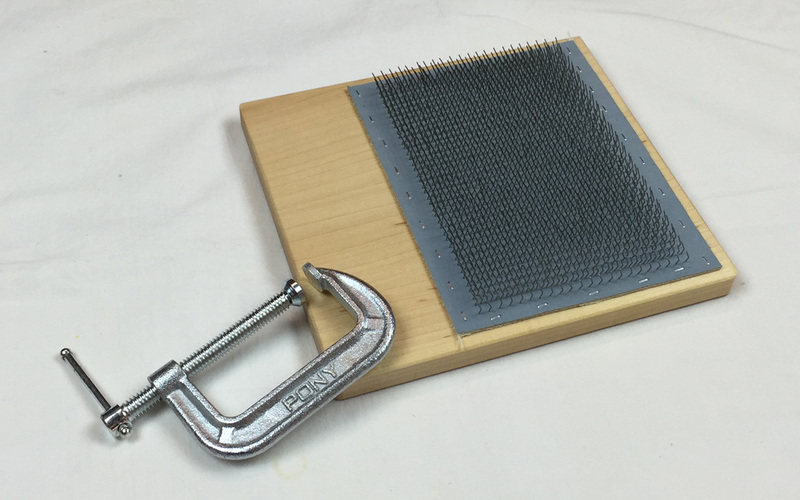 Used correctly, the Knuckle-Saving-Batt-Pick also saves the drum and card cloth from becoming damaged. 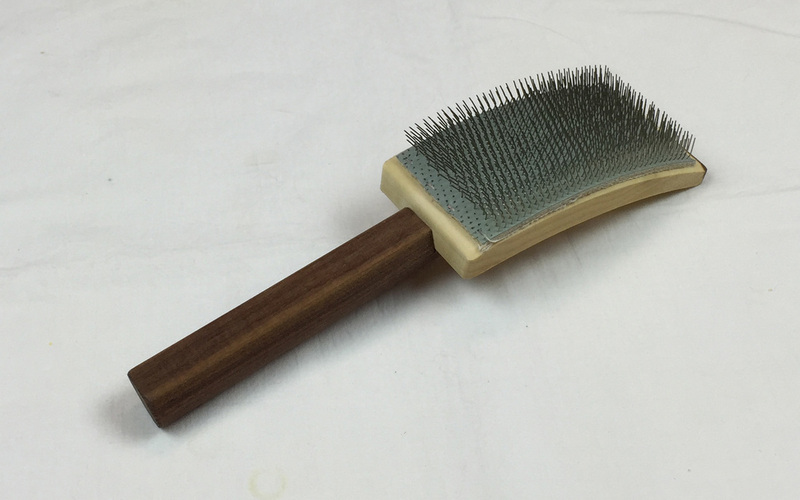 The Teasing Tool is used to open locks and matted tips prior to carding. 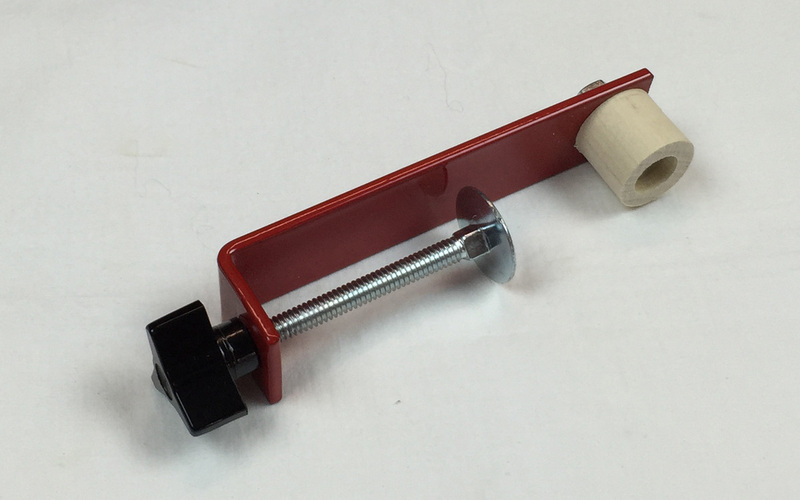 An included "C" clamp attaches the tool to a work surface freeing both hands to handle the fiber. Larger than a Flicker, you can prepare fiber faster with the Teasing Tool. The wood base measure 6-1/2" long x 6" wide. The available area for doing the fiber preparation is 3" long x 5" wide. 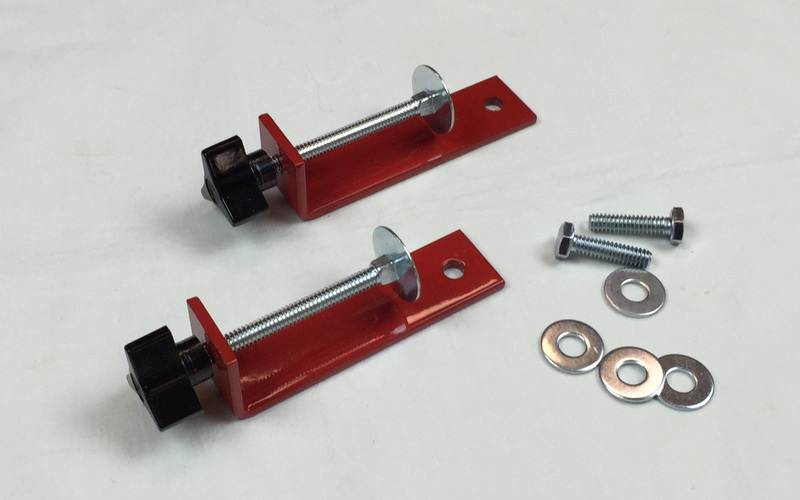 A set of two table clamps to secure the chain drive carder to the work surface are included in the accessories package of any Finest and Mad Batt'r carders. They are available as an option with the 200 Series (standard width and double wide) drum carders. Designed to fit tables up to 1-7/8" thick. Table clamps to secure the Petite to the work surface. ​One is included with every Petite. This clamp will fit tables up to 2-1/4" thick. 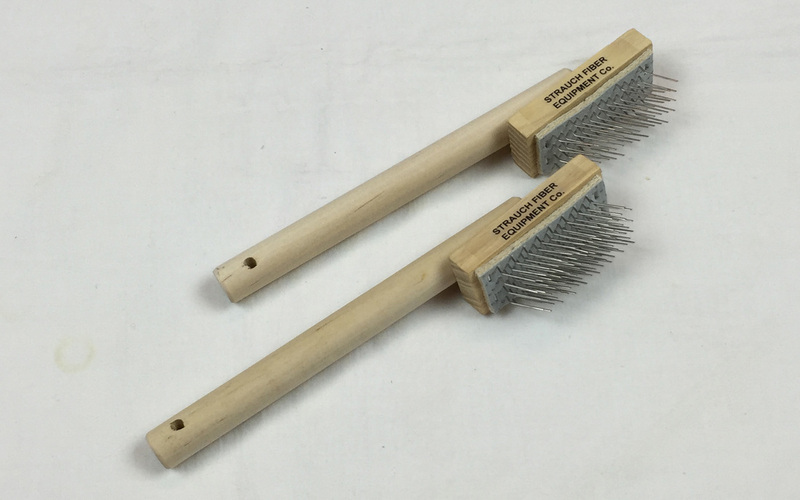 The brush is 4-3/4” long by 1-1/4” wide with four rows of soft, stiff bristles. 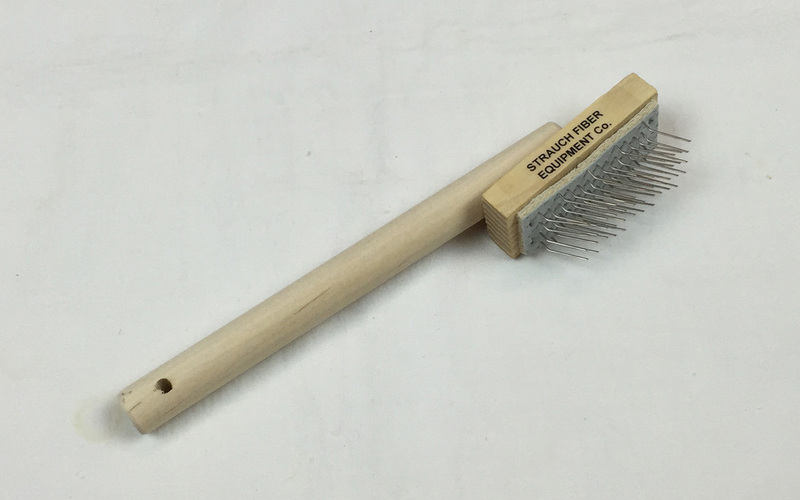 A high quality brush used to clean pieces of fiber and debris off of the small infeed drum. ​Use it to clean fiber out of your cards, as a Mini-Flicker, as a tree ornament. It even cleans Velcro! 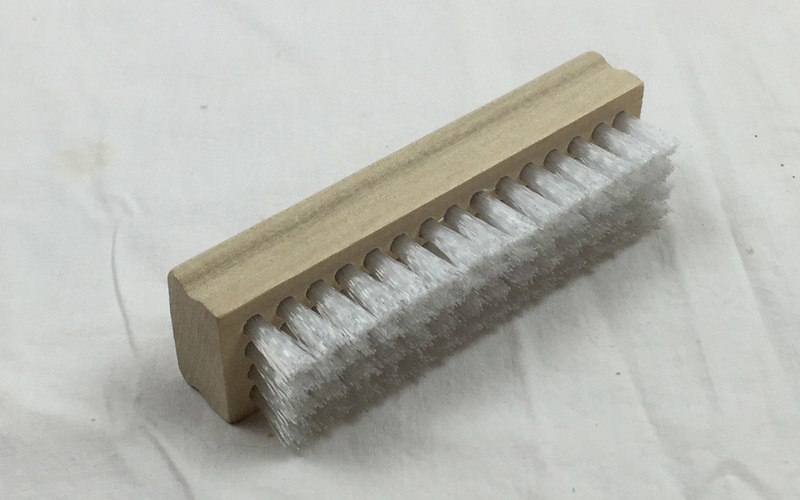 (wood base: 1" x 2", 128 teeth/sq. inch). 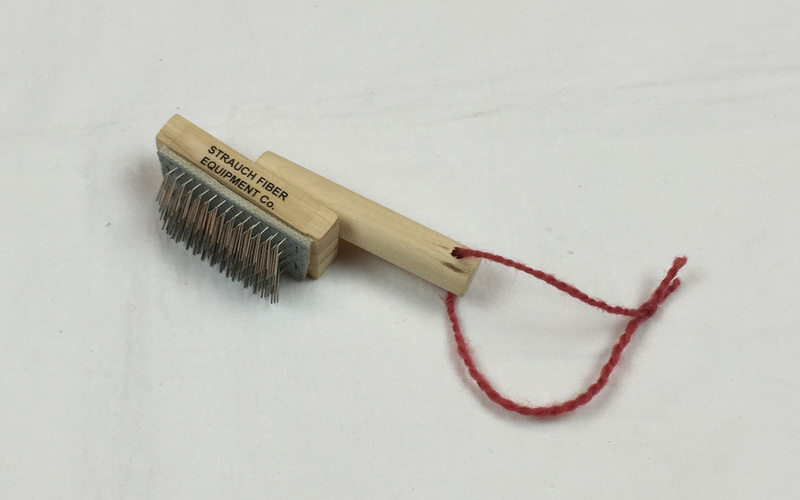 Use the Flicker to separate locks and matted fiber prior to spinning. The Flicker pad measures 2-1/8" wide x 4-1/2" long. A great way to tease your cotton and easily remove the seed. Available in two pin densities: coarse- 36 TPI (teeth per sq. in.) and fine-72 TPI. Which one to choose is a matter of personal preference. Most folks choose the specially priced combo set containing one Flicker of each pin density. Comfortable 5" long handle with a 1" x 2" wood base. 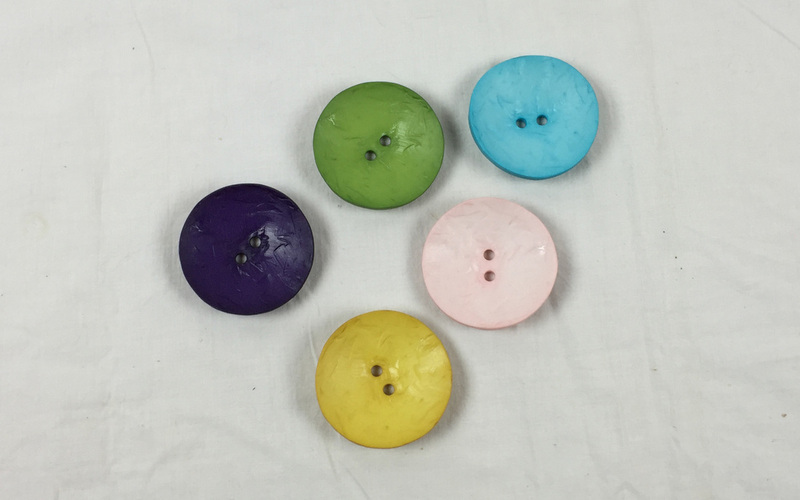 A high quality, 2-1/4" diameter, diz made of strong polyamide resin. A Strauch Fiber diz has the proper size holes for making the right diameter roving. The curved shape makes pulling fiber off our drum carders easy and comfortable.